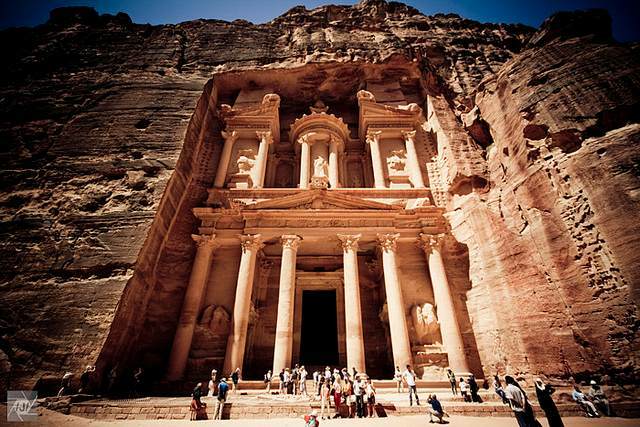 16 Interesting Facts About Petra | OhFact! 4. 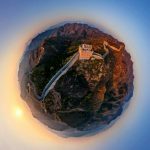 A Famous Ancient Trade Route! 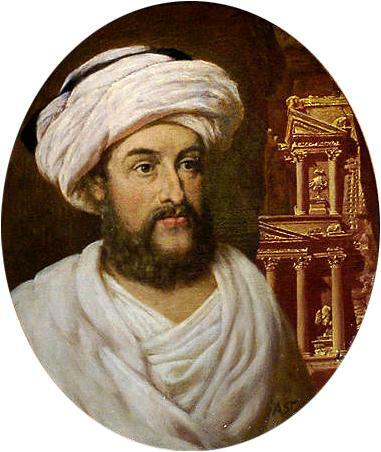 The Nabataeans, the ancient southern Arab people, made the city of Petra as a trade route to connect to South Asia and Greece. 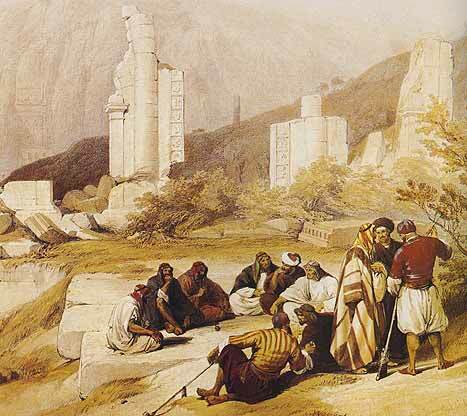 They arrived in Jordan in around the 6th century BC and were the creators of one of the most remarkable ancient civilizations. European studies found that The Nabataeans built this city to track the astronomical movements of the sun and also built an altar on the top of their house. 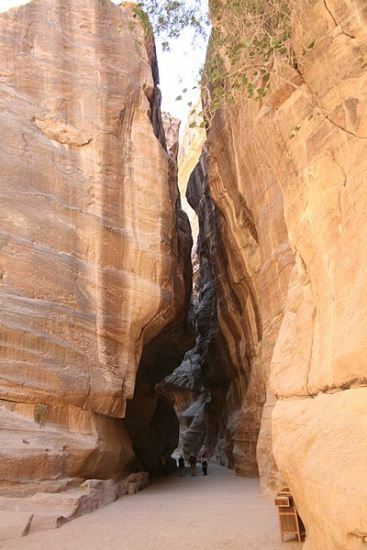 To enter the Petra, one has to pass through a narrow canyon of about 1 km. It is bound by tall cliffs called Al-Siq up to 80 km. Continuous salt blowing from the Dead Sea is solidifying the pores of the sandstone and slowly hampering the structures. 8. A City Of Royal Tombs! 9. The Desert Of Petra Was Once A Lush Garden! Because of the water conservation system at that time, there was a sufficient amount of water for around 30,000 people. There was also enough water in this desert region to have the lush garden; they managed to grow lush green gardens in the desert. 10. Connection With Indiana Jones! 11. Shop A Great Variety Of Souvenirs! 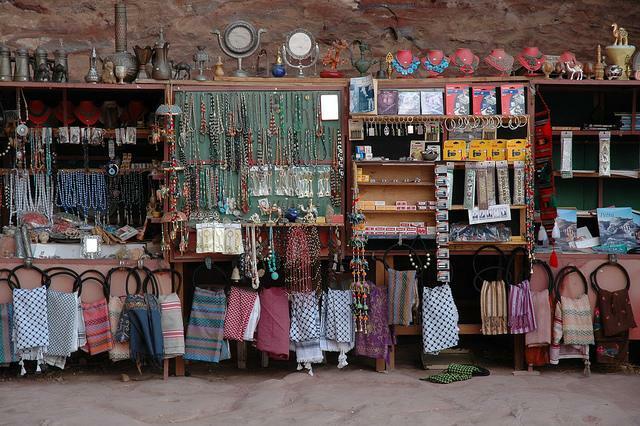 While touring the city of Petra, one can shop things such as authentic souvenirs of Jordanians and Nabateans. There is also a collection of stone carvings, embroidery, silverware and pottery. 12. How Was It Destroyed? 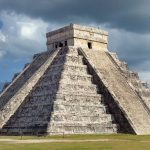 In May, 363 AD, a pair of severe earthquakes destroyed half of the city. Many buildings and their water systems were highly damaged. 13. The Ancient Commercial Hub! 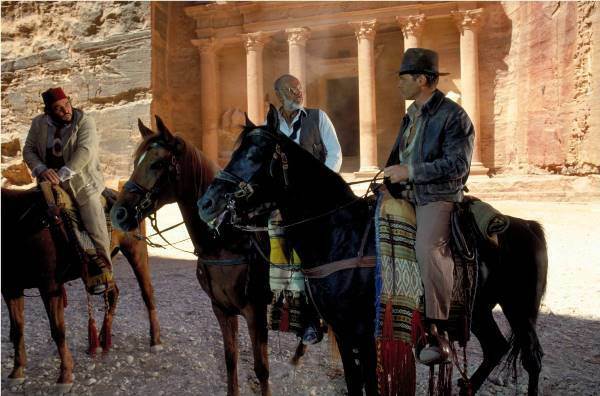 Petra was the city of traders and hence was commercially vibrant and was once the house of many treasures. But due to its structural weakening, its treasures were stolen over the years. 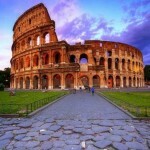 Because of its historical importance and sensitive structure, it was declared as a UNESCO World Heritage Site in 1985. Petra was once an important center of Christianity. It has a 6 AD marble pulpit from a Byzantine church called the Blue Chapel. 16. Petra Was Made In 3 Different Periods! 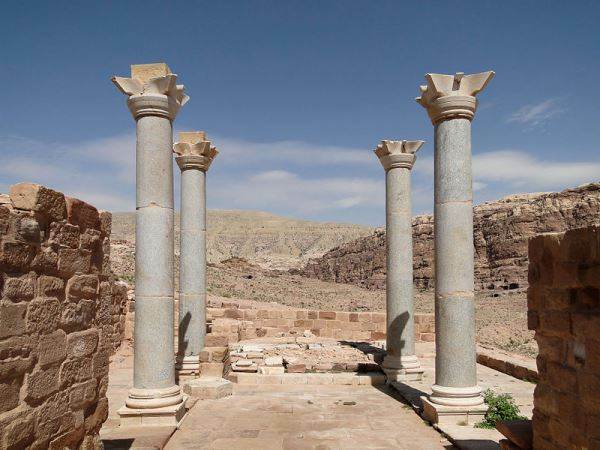 The most of the Petra was made in 3 different periods- the Edomites (18th-2nd century BC), the Nabateans (2nd century BC- 106 BC) and the Romans from (106 – 395 BC) but the remains left are mainly of the Nabateans period.